The Mahindra Inferno SUV is going to rival against the likes of Maruti Suzuki Vitara Brezza, Ford EcoSport and the Tata Nexon. Prices are expected to fall in the range of INR 7.5 lakh to 10.5 lakh. After the launch of the Alturas full-sized SUV, Mahindra is going to introduce a compact SUV i9n the Indian market as well. 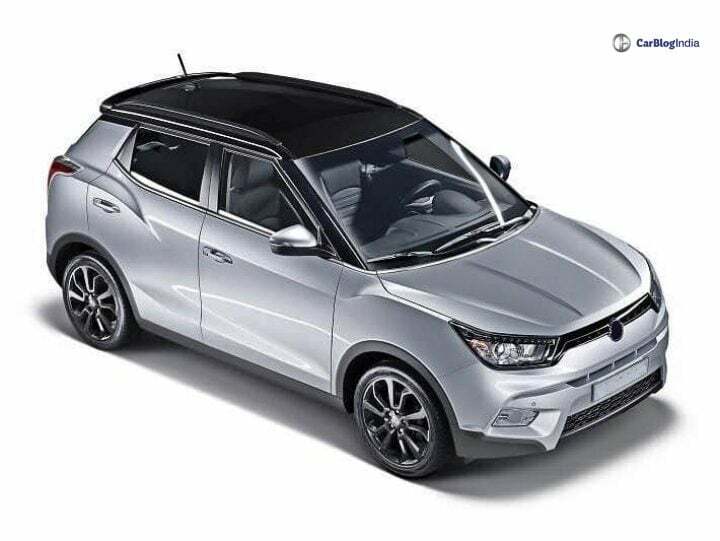 So far, it is speculated that the launch of this Maruti Suzuki Vitara Brezza rival is going to take place during the first half of 2019. In the wake of an announcement pertaining to its official production name, so far we have been referring to this SUV as the Mahindra S201 i.e. its codename. However, recent developments suggest that this new rival for Maruti’s segment leader Vitara Brezza could be called as the Mahindra Inferno. We reported to you earlier that Mahindra has filed a trademark for the name Inferno. However, earlier speculations were that the Rexton based SUV will be named as the Inferno. The Mahindra Inferno or the S201, as you must be aware, is based on the SsangYong Tivoli. The SsangYong Tivoli is currently on sale in the European markets. Considering the fact that the Mahindra Alturas is almost identical to its donor SUV i.e. the SsangYong Rexton, we have every reason to expect the same from the S201 as well. There have been several spy shots of the Mahindra Inferno circulating on the internet lately. Through this, we can clearly state that the development of the Inferno SUV is in its final stages. There have been a number of speculations stating that this all-new Mahindra SUV is going to have some pretty impressive segment first features. For Instance, top-end variants could get a panoramic sunroof while there are chances that this SUV might come with a 360-degree surround view camera. For now, these are mere speculations as nothing of this nature has been confirmed as of yet by Mahindra. We believe that the Mahindra Inferno is going to come with both petrol as well as diesel derivatives. Though not confirmed, the petrol derivative could be a 1.2-litre unit. This engine is likely to produce close to 100 BHP of power along with 150 Nm of peak torque. Both manuals as well as automatic variants will be on offer. We have every reason to believe that the diesel derivative for this SUV is going to come with a 1.5-litre oil-burner. This is going to be the same unit which made its debut on the Mahindra Marazzo. This engine is capable of producing 120 BHP of power along with 300 Nm of peak torque. In the Marazzo, this engine comes with a 6-speed manual transmission. We expect a similar pairing for the Inferno as well. As mentioned before, the Mahindra Inferno is primarily is going to compete against the likes of Maruti Suzuki Vitara Brezza, Ford EcoSport and the Tata Nexon. As a result of this, we have every reason to believe that its prices will fall in-between the range of INR 7.5 lakh to INR 10.5 lakh.